Brady’s talk will examine comparative legal frameworks for protecting indigenous sacred places in Australia, Benin, India, Canada, and the United States. Anna E. Brady is a third year law student in the Knight School of Law with a specialization in federal Indian law and protecting indigenous sacred sites. She has served as an officer for the UO Law chapter of the Native American Law Students Association (NALSA) and participates in the Native Environmental Sovereignty Project. 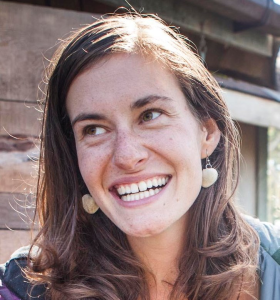 Anna also serves as communications coordinator for Utah Diné Bikéyah, a Native American nonprofit working to protect the Bears Ears cultural landscape in Utah and “bring healing to people and the Earth.” She also holds a Masters degree in Environmental Humanities from the University of Utah.